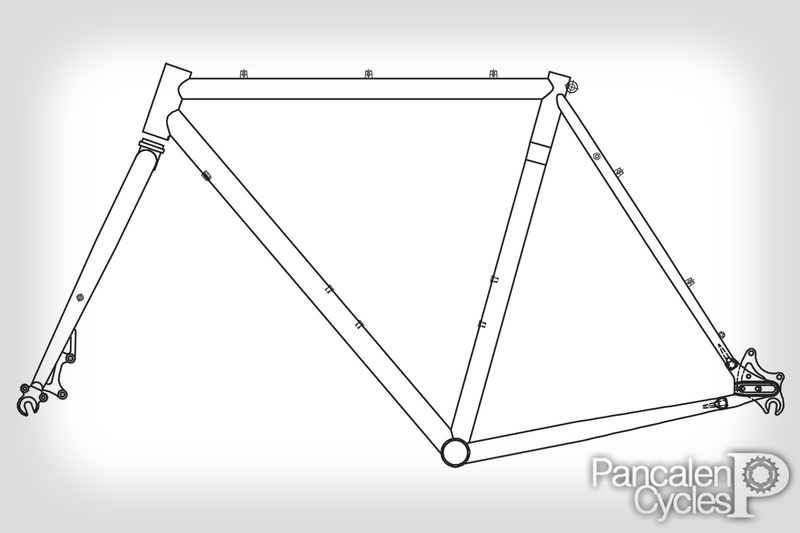 Sumvelo and Cyclonesia's frame project, the PIAS, is a major success. Their second batch frames even made it to South Korea and United States! Following this they wanted to expand their model for the next year, so they hook us up for a colaboration project. One similar thing between Sumvelo and Pancalen Cycles is that we're both run by people with heavy bicycle addiction. So just like most bike addict, we're constantly on the search of the ultimate do-it-all bike. A bike that can be used for almost everything we can throw at it. Meet our disc brake-equipped frame. Although it's heavily inspired with cyclocross geometry we're not calling it cyclocross frame, because that would be an understatement. We want a frameset that can be built into any possible configurations, be it road, touring, cyclocross, commuter, anything you can imagine. With any possible drivetrain options available, be it multispeed or singlespeed. We want it to be a frame that can be transformed into anything you want. 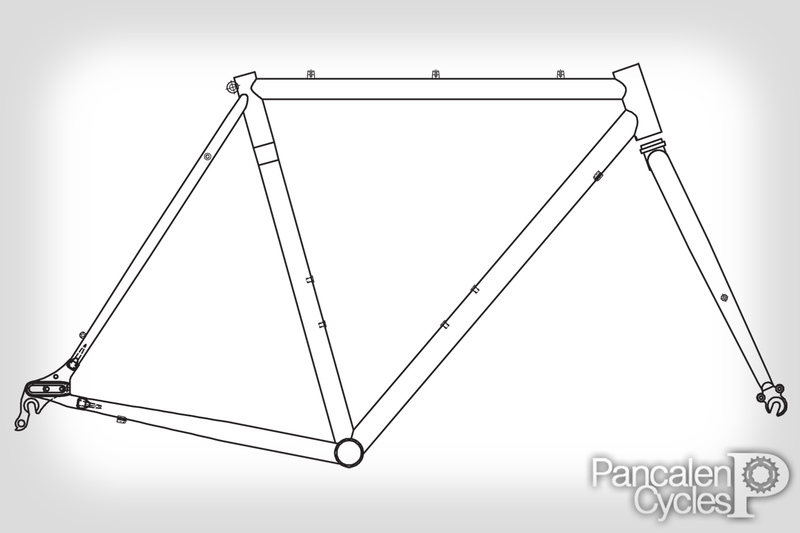 Just like the PIAS track, Scarab will be made from 4130 double-butted chromoly steel. Steel is chosen over other material because it hits the sweet spot between durability, comfort, and value. We decided to make Scarab a disc brake-specific frame to add its versatility. Disc brake give better and consistent braking performance on any conditions. 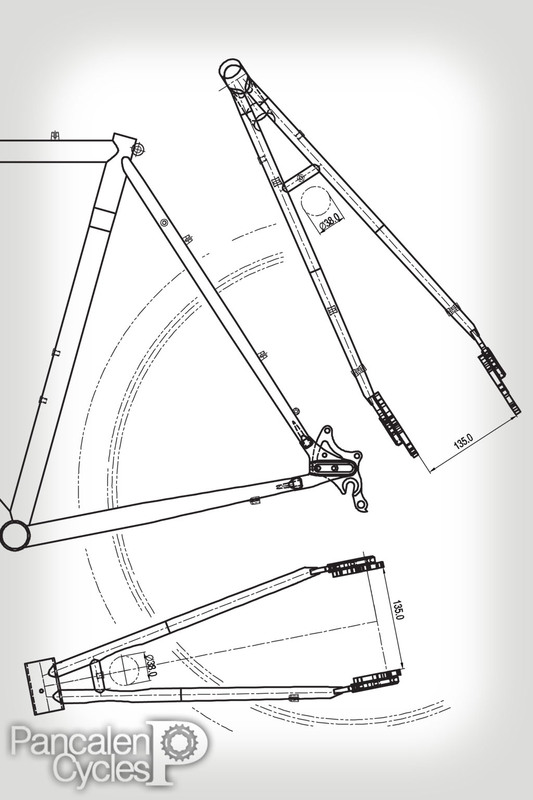 Disc brake also lets you run any tire/wheel size configuration: whether it's 26", 700c (of which the frame was designed for), or even 650b, as long as they fit between the chainstays and seatstays. 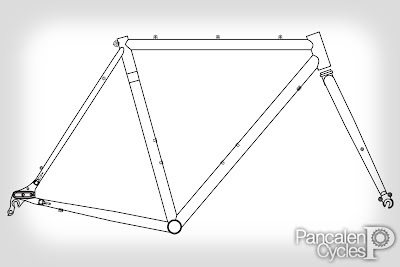 The frame will fit up to 700 x 38c tires without fenders (why yes, we design this frame with full-shroud fenders in mind), and will accept any ordinary 135mm MTB hub. 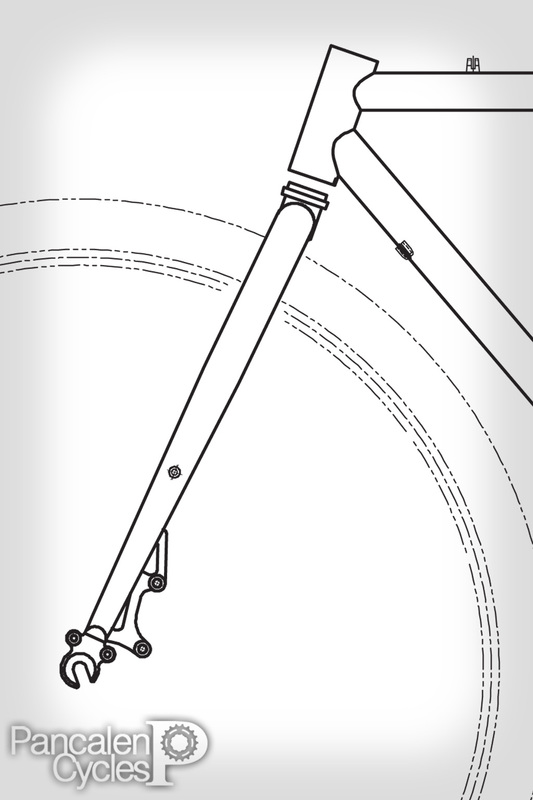 Another feature on the Scarab is the adjustable rear dropouts. We know some people prefers singlespeed drivetrain because of its simplicity. 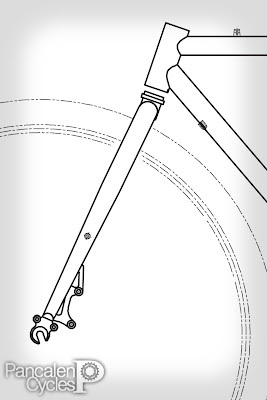 Adjustable rear dropouts make it easier to fine tune the chain tension without having to mess with the brake setup, because the whole rear brake caliper mounts will slide along with the wheel mount. It also nullify the need of chain tensioner. Yes, we can hear you thinking. Adjustable rear dropouts and 135mm rear spacing makes this frame also ideal for internal-geared hub drivetrain, such as Shimano Alfine. We also put loads of fender/rack mounts on the frame and fork. Whether you planned to take over the world with this bike or just want to go around town with loads of carriage, we got you covered. The prototype is scheduled to reach Jakarta sometime this month so you can see some examples of build configurations that we can do with them. Stay tuned for more news on this project! We can't give you further details because so many factors have to be taken account. But as a hint, the frame would be available bundled with a pair of dropbar-compatible disc brake calipers and rotors.
. i've built my own track and fixed, but multispeed is something new, i think i'll come buy to your shop for this build. Before all that happens, any ETA on the release date?? The prototypes should hit our shore sometime this month. Let's hope we got enough demand to push them into production. I usually rode 49 cm road bike and get a hard time in finding a cyclo cross bike, the only bicycle company which has a right sizing for me is Surly but its Cross Check is disc less.